Discussion in 'Mossberg SA-20' started by dadeo316, Nov 3, 2018. After taking out my new sa20 for the fiirst time I am very happy with my purchase. My model is the full size with 26" barrel and black synthetic stock. My gun will cycle almost everything that I have ran through it. I haven't had a chance to pick up any of the federal bulk pack from Wal-Mart but, the winchester bulk is the only ammo so far that will not cycle. I had lots of input from other guys stating that I would want to break in my new gun with heavy loads but, it ran pretty good. I did the usual clean and lube for a new gun and, took it apart about every 15 shots to clean off the tube and gas piston and relube lightly. I guess I should have made a list of ammo that I ran. 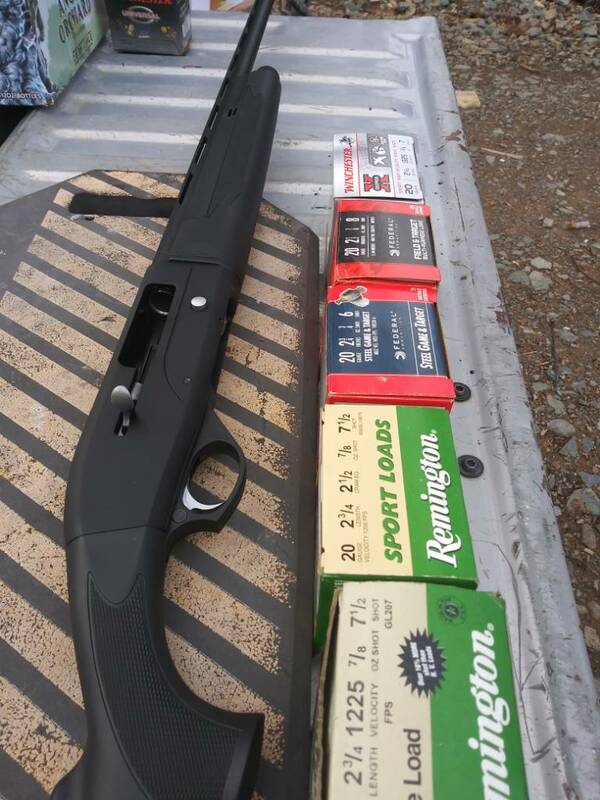 I did have one old remington bulk pack that I bought years ago that is rated at 1200fps that ran just fine too with no hangups. Good deal. Love hearing these good reports. I've not had any luck with the cheap Winchester shells out of my guns either. And not just Mossberg either. I wanted to add a picture or 2. I'm also happy to report that federal bulk from Wal-Mart functions flawlessly! 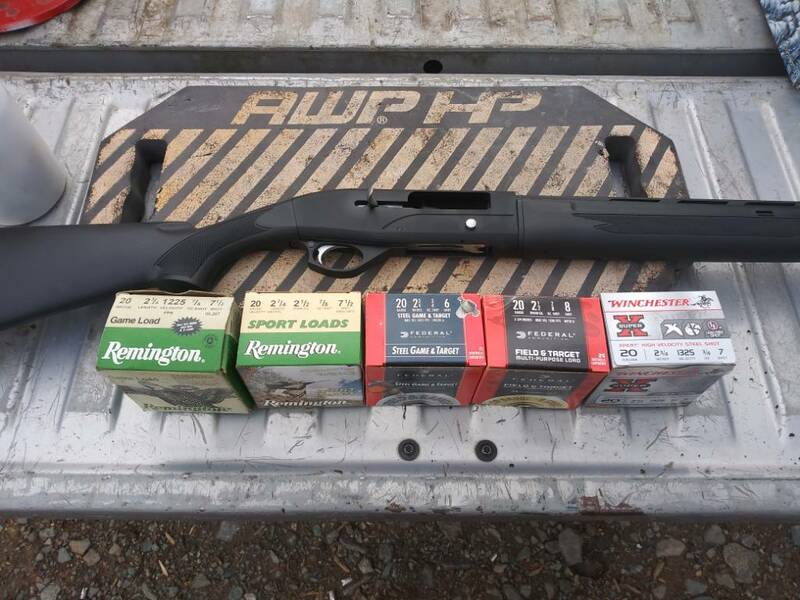 My first semi auto shotgun and I'm loving it! Bobster, Djcala and Elbert Garrett like this.